Skoda will soon launch the new Skoda Superb in India. 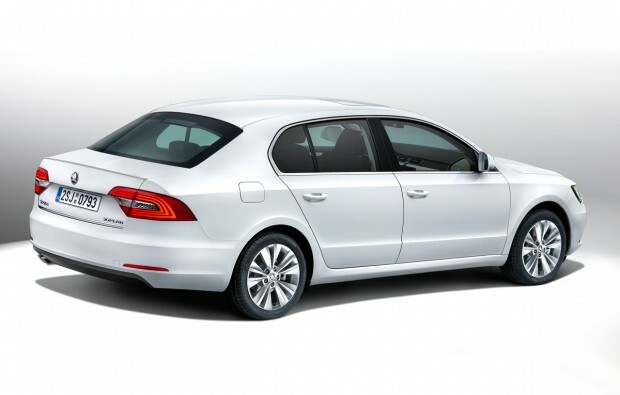 The updated Superb will also be displayed at the upcoming Auto Expo 2014. The Superb face lift comes with exterior changes such as new grille with the new Skoda logo, head and fog-lamps, re-profiled bumper, front fenders and bonnet. The updated car will also get bi-xenon headlights with integrated LED daytime running lights. Interior include the all new four spoke steering , new gear lever, new color schemes and now, the front passenger seat can also be moved from the rear electronically. There’s also an automatic reverse parking system. The face lifted Superb will continue to be offered with the same engine options, a 1.8-litre TSI petrol engine, a 2.0-litre TDI and a 3.6-litre V6 petrol engine. The TSI motor comes with the option of a six-speed manual or a seven-speed DSG auto ‘box, while the 2-litre diesel and the 3.6-litre V6 is available with a six-speed DSG only.